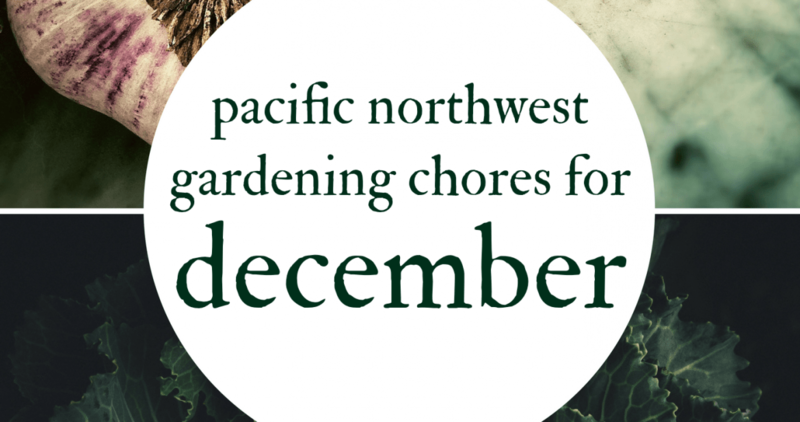 Well, it’s December, and let’s be honest: most of us are pretty busy with the indoor bustle of the holiday season and are happy the garden is in a self-tending way. So far, November and December have been relatively mild, and I’ve still got tender herbs like lemon verbena growing well in sheltered locations. Harvesting continues, at a languid, as-you-need-it-pace. The first of the seed catalogs are probably arriving in your mailbox. If you’re not seeing them, go get on some mailing lists! On freak sunny days, escaping to your yard with Muck Boots on your feet and a seed catalog in hand can be the perfect antidote to holiday insanity wonderment. If you have a very clear idea of what your garden plans are, by all means place your seed and fruit tree orders now. Some companies, like Raintree, encourage early ordering by sweetening your deal with free plants or last year’s pricing. If you’re still deciding on the plan for next year, just know that you have all January and February before you really have to know what you’re doing. So don’t sweat it. Garlic. I’m putting this on the list for my neighbor who still hasn’t gotten his in the ground. But all my other readers planted their garlic before Halloween, right? If your soil is too wet or is frozen, you’ll just have to wait until Spring, which means smaller bulbs and a lesson learned. I’d still plant bare root trees and perennial shrubs, particularly if the ground was previously prepared. Don’t try to plant something if the ground is seriously mucky or actually frozen, and make sure to heavily mulch anything you do plant this late in the year, keeping the mulch away from the trunk or stem of any woody perennial. Beets – still doing well on beets. Broccoli – Mine are long eaten, and the chickens ate everything we didn’t, but in theory I could still have broccoli. Brussels Sprouts – I have a mini tradition to not break into the sprouts until Thanksgiving. But now that holiday has passed and it’s open season on those suckers! Cabbage – Melissa Savoy holding strong and the lone January King is looking great too. Carrots – ate the last of ours for Thanksgiving and will be switching to store bought until the earlies come in next year. Jerusalem Artichokes – I’m sure there’s a ton underground, if only I dared to look. Kale – my staple. Cavalo Nero and Chidori are my current favorites. In soups, creamed, sauteed, made into getting-too-trendy-for-their-own-good kale chips….I’ve said it before and I’ll say it again: you want to feel like a successful gardener? Start loving kale. Lettuces – a mixed bed is holding strong under a tunnel cloche. Potatoes – digging as needed rather than pulling from storage. This isn’t a technique I’m recommending, it’s just what happened this year. 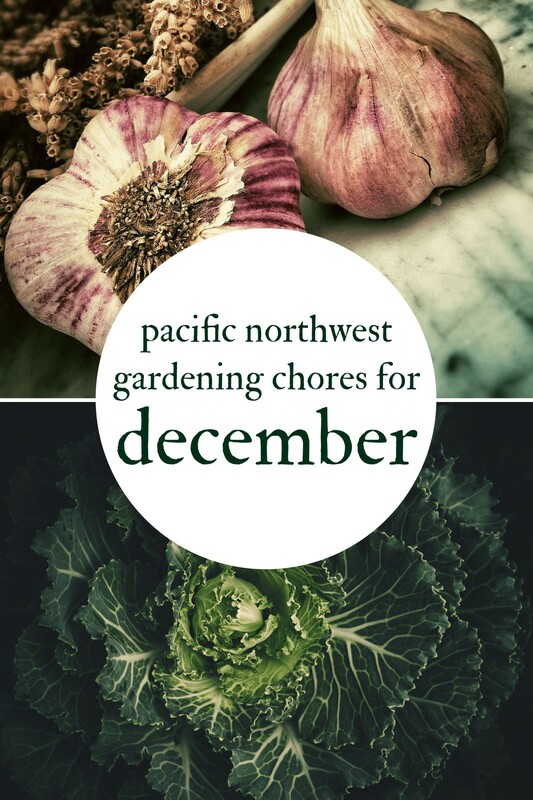 How is your winter garden holding up? The gateway to kale is hippie juice/green smoothies. I thought kale was disgusting until I tried it this way. Now I’m wondering where I will plant my own?